Will Farrah Abraham's celebrity boxing match be on TV? Yes, with Javi too! 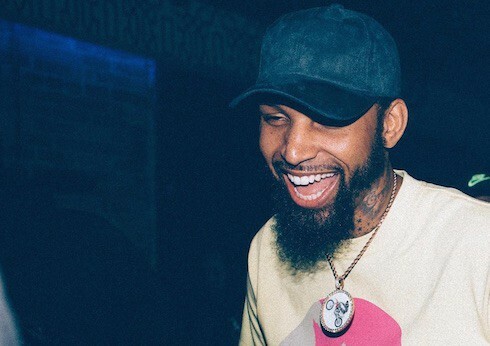 As we draw closer and closer to the celebrity boxing match between former Teen Mom OG star Farrah Abraham and Flavor of Love Season 1 victor Nicole “Hoopz” Alexander, the hype train continues to build up steam — including recent announcements by promoter Damon Feldman that he has signed a deal with cable TV giant Viacom (MTV, VH-1, etc.) 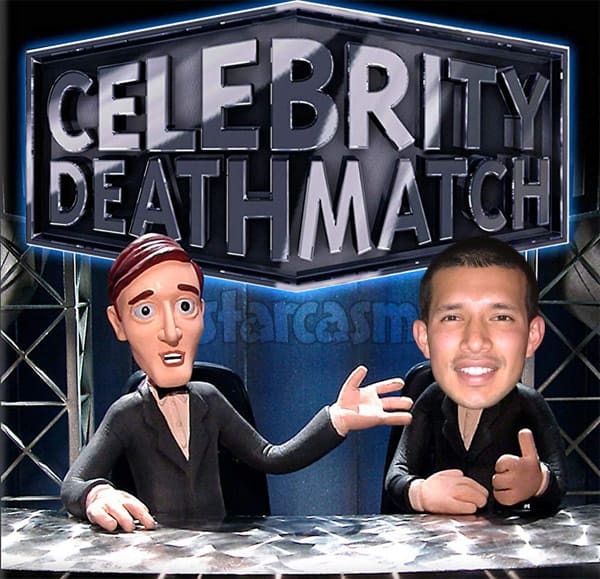 and that Teen Mom 2 dad Javi Marroquin will be one of the TV commentators! “Made an incredible deal today with Viacom,” Damon teased on Instagram on Sunday. 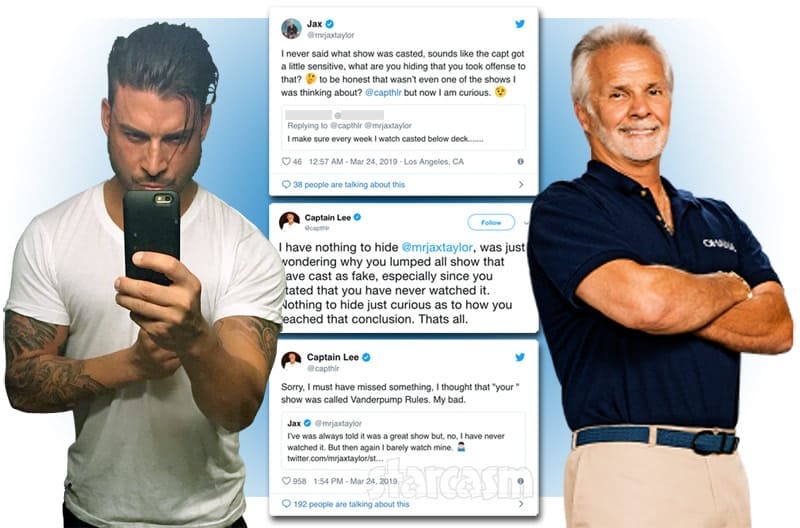 Then, on Tuesday, he made the reveal about Javi. 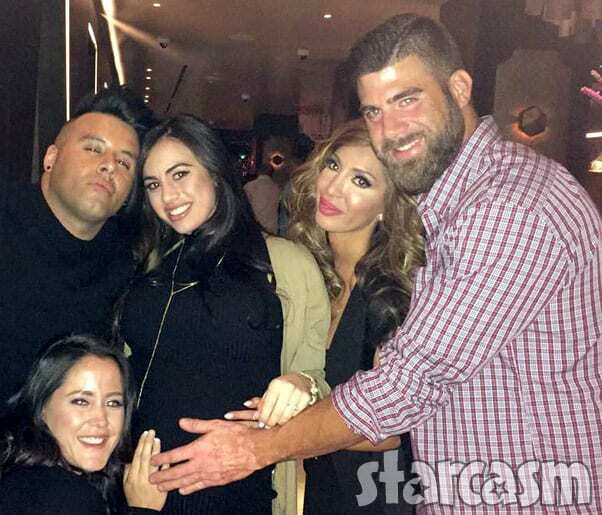 “Teen Mom 2‘s @javim9 will be one of the TV commentators for Celebrity Boxing Showdown,” he wrote in a caption to a photo of Javi, adding that Javi will be joined by Ron Starr and former Mob Wives star Marissa Jade. So how can you watch the Farrah Abraham vs. Hoopz celebrity boxing match from the comfort of your own home? I did a little digging and I found a link where the match is available via FITE.TV pay-per-view for $19.99. According to their “About” page, “FITE is the premiere digital network for Combat Sports providing hours of live, PPV and on-demand programming to combat sports fans all around the world.” I could find no link between FITE and Viacom, however, so there may be another option for viewing the match on TV announced soon — perhaps even a non-pay-per-view airing on one of the conglomerate’s many networks. Meanwhile, Farrah and Nicole continue to promote their upcoming boxing match with a press conference at B Square Burgers and Booze in Fort Lauderdale on Thursday, October 25. 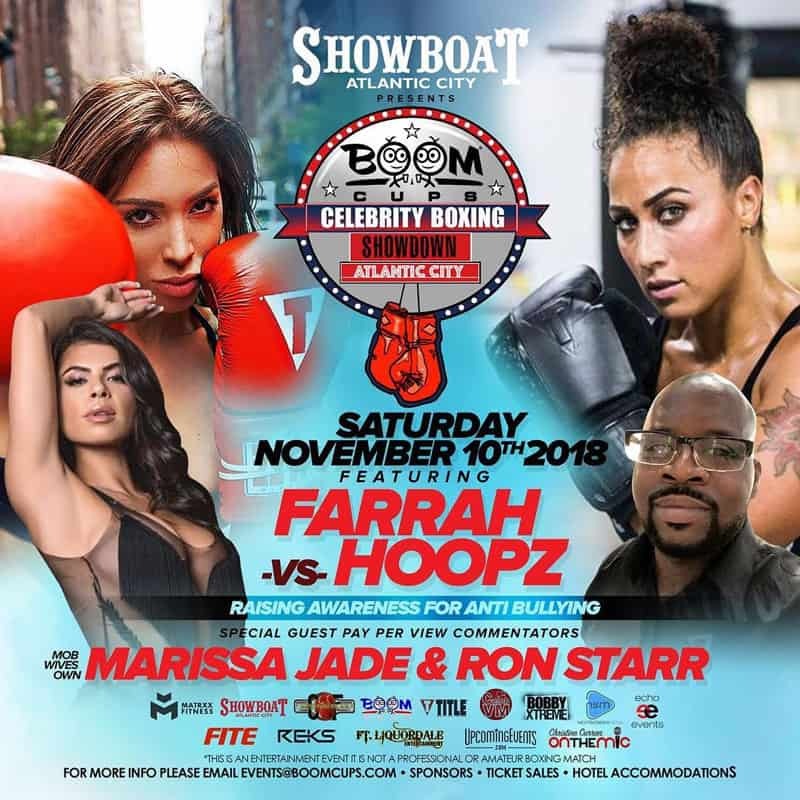 Just as Hoopz says in her caption, the “Celebrity Boxing Showdown for Bullying” match between her and Farrah goes down at the Showboat Casino in Atlantic City, New Jersey on November 10. You can click here to get your tickets to see the match in person!